The South Beach Diet is broken into 3 phases, but Phase 1 is easily the most challenging. When you start South Beach, the first phase of the diet is really where you will see (and feel) the most results. It's during this initial 2-week period where you must follow the plan to the letter. That means literally no carbohydrates of any kind, including normally 'Good' carbs found in most vegetables and whole grains. Your diet will be very restricted, but it's only for 14 days. We're not going to sugar coat the reality. Phase 1 of South Beach can be really tough. Your body will be shedding pounds, especially from about the 7th day on. As your metabolism enters ketosis and recognizes no carbs are being ingested, you will begin to burn fat and you metabolize your foods differently. For most, this will lead to rapid weight loss. Offsetting cravings for carbs (we've done this diet 3x and learned some tricks) is critical — you'll want to eat small meals and south beach friendly snacks almost constantly. Get ready to eat a lot of lean meats. Low fat cheese. Fish. Eggs, nuts, almonds, salad with olive oil for dressing. Personally, I'm not a huge red meat eater, which is fine during Phase 1 — as you can eat pretty liberally from chicken, turkey, and other lean meats. Breakfast for the 1st week was fine, a little bland but I love eggs so this wasn't a problem. 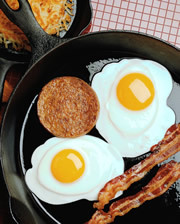 By the end of the 2nd week though you'll probably not going to want to see eggs again for awhile – that's normal, as many readers report that since the Phase 1 menu's are limited you'll find yourself eating many of the same foods seemingly every day. 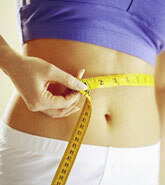 For a more complete listing of South Beach Diet Food List, read here. Essentially you are eliminating all carbs and sugars from your diet for the 2 weeks. Officially Dr. Agaston's group lists Phase 1 as the period where your cravings for carbohydrates will "stop". That certainly wasn't the case for us when we went through Phase 1. Cravings didn't stop. We suffered through it, it was very difficult for us, but we absolutely saw the results in rapid weight loss and immediate and quite dramatic increase in energy levels and focus. I lost 16# during the 1st 2 weeks, though my wife lost about half that (everyone is different). No, our cravings certainly didn't disappear, or even fade really. What really got us through Phase 1 was more "dreams of the good carbs" we would get to eat in Phase 2 if we could just hang on more than any other factor. The weight loss was an obvious benefit, but it was the daily countdown to being able to eat cereal, oatmeal, whole grain brown rice, and yes even whole wheat pasta and breads that got us through it. The results we're really impressive however. Stay motivated! Share your story by adding a comment below! I’ve been trying to lose weight for awhile. I’ve had 3 back surgeries and can’t do to much so it’s hard to do any walking or anything like that. Nothing has worked I need something I know will work.